The band would like to wish all our followers, supporters a very merry christmas and and very happy new year for 2019. We hope to see you at the concerts and engagements throughout the year. The Marshside Brass Band have a vacancy for a tenor trombone player. We are keen to attract more young players into the Band but would also like to hear from anyone who may have stepped down from membership of a busy contesting band or who has previous experience in one of the bands in the armed forces. You may play in a local orchestra but feel you would relish more challenge which our music may provide for you. We work hard in rehearsals to maximise the time available to us in order to achieve very good playing & performance standards. Rehearsals are well attended by our very dedicated and committed players. Usually we enjoy full rehearsals and there are rarely more than a couple of players missing, this being mainly due to work commitments. The band has a full diary of concert performances each year. We perform on an annual basis for the Southport Scouts, supporting the St. George’s Day Service and the Spring Prom Concerts held at Sooty’s Garden Centre near Tarleton. We undertake brass & voices concerts in conjunction with local choirs. Several engagements each year are given to support local charities and hospices, often in conjunction with The Rotary Club and the Freemasons. We have a full programme of Christmas Concerts and other small group jobs at this busy time of year. We play once each year by invitation in the Botanic Gardens appearing in the series of summer concerts. We perform interesting and varied programmes covering a wide range of musical styles. We are a friendly and professional combination, currently with a membership of 27 players, driven by our conductor Peter Lockett to achieve the best possible standards in our music making. We look forward to welcoming you into our ranks and to sharing our passion for quality performance with you. It’s the time of year where it’s getting colder and darker. The music has taken a rather festive twist. The band are working hard on this year Christmas repertoire. Have a look at the Events Page where you can come and listen to the band and support local events. We are looking forward to meeting you this festive season. An experienced front row cornet player who will enhance the solo cornet section. A cornet player who can develop their skills on the back row cornet section. Appropriate places will be allocated according to experience and potential. A percussion player who may have an interest in playing the tuned percussion instruments. The Band has made significant progress this past five years and wish to move forward again in the autumn season. We rehearse once a week, working hard in these sessions to achieve our maximum potential. We have a full concert diary with many very interesting musical events throughout the year, especially in the autumn and Christmas period. We look forward to hearing from anyone who feels they can commit to our friendly, vibrant, energetic, and ambitious Band. 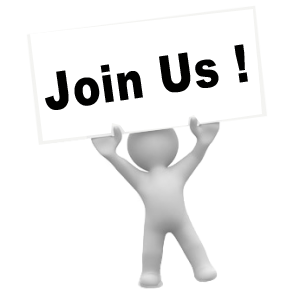 Please do not hesitate to contact us for a confidential discussion so we can arrange to meet you, and invite you to come and work with us and see for yourself just what we have to offer. We do carry spare instruments should you need one. The band are getting ready for a busy spring and summer concert season. Highlights being the Last Night of the Proms style at Sootys Garden Centre 17th June a brilliant idea to treat your Father on Fathers Day. We are looking forward to playing in the annual bands in the park summer program at Botanic Gardens on the 24th June. You can also buy copies of the CD for the band at any of the fourth coming concerts and job. 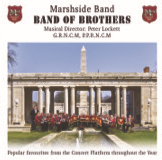 This is the second CD Marshside Brass Band has recorded. With our Musical Director developing the band, we decided to capture our progress and record a second CD. After much hard work and rehearsal, the band recorded the CD called Band of Brothers with a selection of music suitable for listening to all year around. The CD was released on Friday 15th Sept 2017. If you would like a copy of the CD priced at only £7, please use the contact us page. The band are seeking front and back row cornets. We want to strengthen and develop the section. Are you a cornet player wanting to improve in a supportive section? Have you previously played and want to play again? Do you play trombone? The band a seeking a 2nd trombone to support the trombone section. Do you play trombone or know someone who does? We are pleased to announce that the Band has just completed recording our new CD. the earlier disc, the "Sands Of Time" is still available through the Website. The latest collection includes an all year around selection of brass band music. Something to suit everyone's tastes! We are awaiting the final master copy from the recording engineer, and hope to announce its release date in the near future. Thanks to our MD Peter Lockett and all the members of the band for there tireless efforts including those working behind the scenes to who enabled the whole process to go so smoothly. We hope all will enjoy the finished product. Due to forth coming retirements the band are seeking players for the following positions. Front row cornets, back row cornets and Bass Trombone. If you are interested in any of the above vacancies, or you would like to join us please come and say hello at the weekly monday evening rehershal at Marshside Temperance Hall Shellfield Rd Southport. Rehershals start at 7.30 til 9.30. We are a friendly local non-competing brass band that undertakes 30 - 35 engagements each year, ranging from Concerts to Marches and Garden Parties. The band consists of 28 players with a weekly practice on Monday evenings 7:30pm - 9:30pm, at Marshside Temperance Hall, Southport. Practice is normally attended by most of the band each week. Peter Lockett joined the band in 2014, replacing Peter Leary who we wish well in his retirement and thank for his time in moving the band forwards.